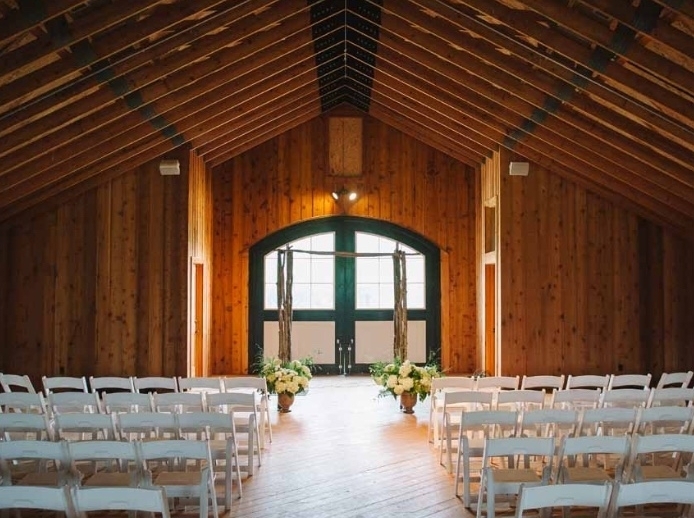 Castle Hill’s 11,000-square-foot pole barn is a year-round event venue, with heating and air-conditioning to keep guests comfortable. The cider barn provides ample room for seated receptions or dinners that can spill out onto the terraced lawns with exquisite 360-degree views. For intimate gatherings, such as cocktail parties, buffet luncheons or business meetings, consider our lovely tasting room. Stay inside by the stately, wood-burning fireplace or head out through the French doors onto the octagonal porch, which offers magnificent views. The library invites you to get comfortable with a cider. With a wood-burning stone fireplace and spectacular views just beyond the French doors, the room can also transform into a gathering place to get ready with attendants before the festivities begin. Floating above the center of the barn, our 3,000-square-foot loft is a unique event space. Impressive double doors flood the area with light and fresh air.